Further to our last PoE Tech Note, this brief tech note discusses the current situation with PoE above 30W (or the IEEE802.3at standard). Although there are many IP cameras requiring greater than 30W, there is no current standard for this. However, PoE++ is being ratified (perhaps late 2017) and will be known as IEEE802.3bt. IEEE802.3bt will support power over 4 pairs as well as single or dual signature PD operation. 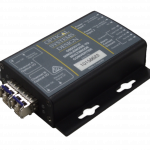 While PDs have operated with a single signature for PoE up to 30W, the new standard will also allow for dual signature detection where a PD derives power from two PSEs. Currently all PoE++ implementations are flying in the dark to some extent: OSD has come across a number of different interpretations which need to be resolved, almost on a case by case basis. OSD will continue to work with its customers in the supply of PoE operating at >30W and can support dual signature if required. OSD currently uses Linear Technology chipsets which are widely accepted by most PDs. OSD will offer IEEE802.3bt when it is ratified and this will include single and dual signature detection.